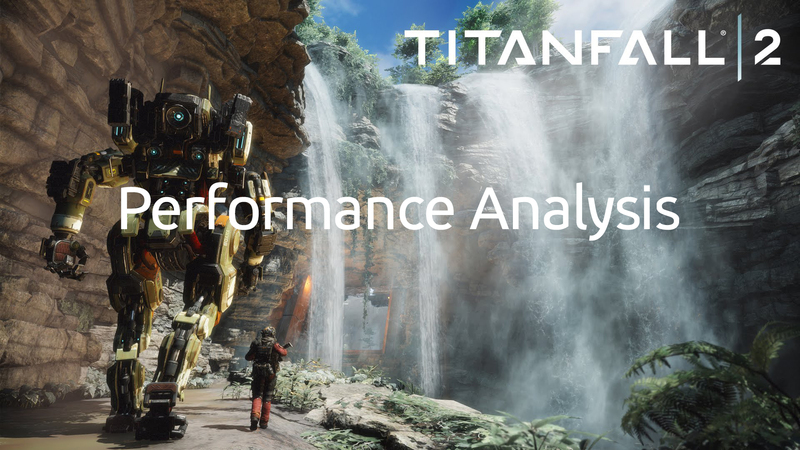 Titanfall 2, a game that was released perhaps on the wrong weekend, has still garnered praise from more than just us. It’s single player is entertaining and fun and the multiplayer element is a slight modification of the previous iteration, which is a very large compliment. But what about it’s performance? How now does it perform on a variety of GPUs? We’re curious too, because it was all roses during our review but after a few patches and drier updates things can certainly change. Let’s find out. And this is in a good way. The developers at Respawn Entertainment have continued with their use of the Source engine when they created Titanfall 2. The old adage “if it ain’t broke, don’t fix it” comes to mind here. Source has been evolving, though perhaps not as quickly, as it’s competitors and thus is still a good choice. It would also take considerable development time to switch to a completely new game engine. So instead they stayed with Source, and happily upgraded it to be more modern, with updated shader effects, larger textures and better shadows and lighting. Source, now in it’s second iteration, has had HDR-rendering added to the stable so that those with wider color-gamut monitors can enjoy better variations between colors and smoother gradients. They’ve also updated the lighting system to be dynamic and included far more complex shaders so that things looks a bit more realistic. Shadows, too, have been modernized with larger and better shadow mapping capabilities so that everything can have a better looking shadow. This definitely isn’t the Source engine that debuted with Half Life, this is far more capable then that. And it’s actually a very pretty game. For cinematic effect they use liberal use of motion blur and focusing what you look at, as if through a large aperture. Sometimes that’s used as a may to hide the shortfalls of a an engine, at other times as a legitimate effect. It’s not unattractive, but it just annoying considering the game actually looks good compared to much more modern engined games. Now we’ll get a chance to see how all of those improvements affect performance.